Luxembourg City was a fortress for hundreds of years, hosting armies and facing military assaults in 1443, 1684 and 1794. Luxembourg became a neutral state following the 1867 Treaty of London. The fortress was dismantled and the town opened up. After the Franco-Prussian war (1870) Luxembourg erected several monuments. Luxembourg became a welcoming country, open for investment from people around the world. During World War I, 3,000 Luxembourgers joined the French Foreign Legion. Monuments erected in their honour became symbols of our national independence. Luxembourg was incorporated into the Reich in 1940, and was designated to be converted into a cultural hub for the west German empire. The City was liberated in 1944, but the Battle of the Bulge struck in December 1944. After the hostilities, Luxembourg relinquished its neutral status, adding its signature to the 1951 Treaty of Paris which founded the European Coal and Steel Community, the forerunner of the European Union. In 1952, Luxembourg became the capital the High Authority of the Coal and Steel Community. Today Luxembourg is one of the three EU capitals, alongside Brussels and Strasbourg. Please check opening times of attractions before your visit. Musée 3 Eechelen is hosted in an old fort. 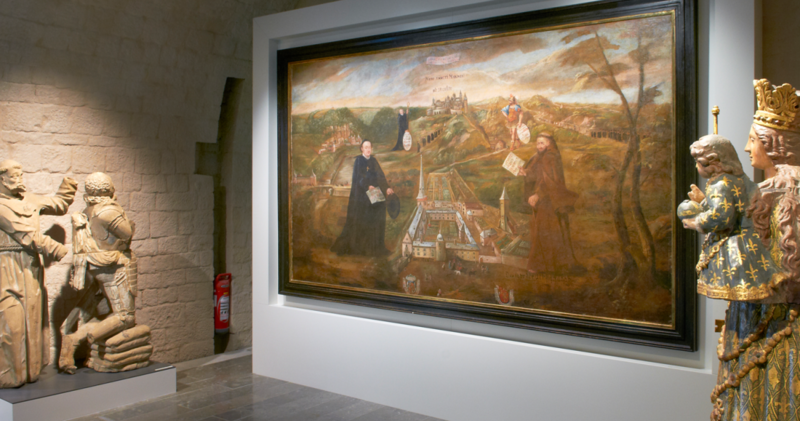 In the permanent exhibition each section illustrates a period of Luxembourg and the fortress' history. The story begins in the middle ages when the town was captured by the Burgundians in 1443, and ends with the construction of the City's second major bridge, the Pont Adolphe in 1903. Visit duration: 1 hour. The “Glacis” chapel on boulevard Joseph II was built in 1885 on the initiative of Bishop Nicolas Adames. State architect Charles Arendt drew the initial plans of this chapel which hosts the tombs Luxembourg two first bishops. The chapel was built in honour to the Virgin Mary in thanks for having saved Luxembourg from involvement in the Franco-Prussian war. In Pfaffenthal, the French Memorial Monument (1872) urges Luxembourg to defend its independence and political neutrality. Luxembourg City History Museum is located in large townhouses once used by nobles and religious orders. It features separate plans for the transformation of Luxembourg, with one drawn up under the 1940-1944 German occupation, and the other as a European capital from 1958. Free entrance with the Luxembourg Card. Visit duration: 1 hour. 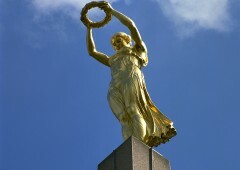 Monument of Remembrance, place de la Constitution: The Monument of Remembrance (1923 sculpted by Claus Cito) commemorates Luxembourgish volunteers in the French army during World War I. The Nazi regime destroyed the monument, and it was restored to its initial splendour in 1984, since when it represents national independence. Monument of National Solidarity, boulevard F.D. Roosevelt. The Monument of National Solidarity commemorates the fate of Luxembourgers during World War II (1971, architect René Mailliet, artist François Gillen). 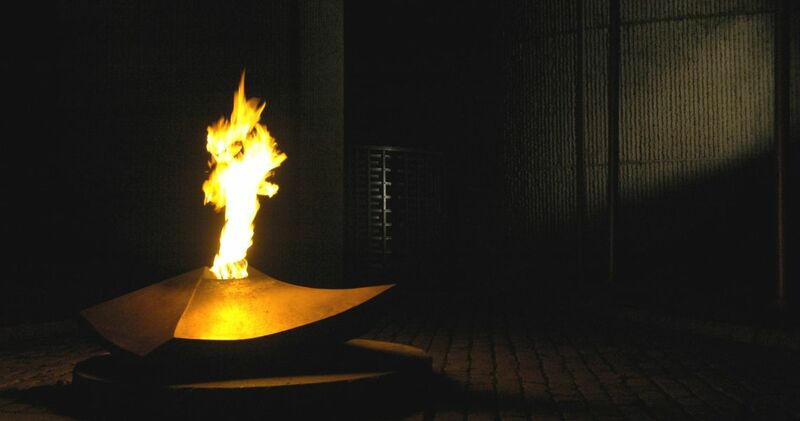 The eternal flame and the hall of memory brings to mind the 91 Luxembourgish forced conscripts who were shot at the Slonsk concentration camp. The Robert Schuman and the fathers of Europe circuit: Robert Schuman, father of Europe, was born in Luxembourg. Guided tour: 3 hours €115, leave place Guillaume, Luxembourg City Tourist Office. In front of the main station the Hotel Alfa, the site of General Omar Bradley’s headquarters. Total duration of the visits: 5 hours.